Water in Bituminous Material (DEAN-STARK) for Bitumen Testing - Used to determine the water in petroleum products or bituminous materials by distilling them with volatile solvent. 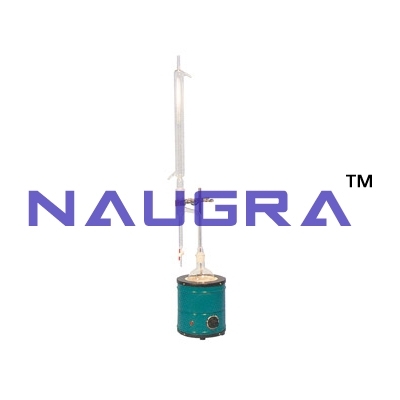 The equipment comprises electric heater with thermoregulator, glass still, support stand, condenser, receiving trap, clamp..
We are leading manufacturers, suppliers & exporters of Water in Bituminous Material (DEAN-STARK) For Testing Lab for Bitumen Testing Lab. Contact us to get high quality designed Water in Bituminous Material (DEAN-STARK) For Testing Lab for Bitumen Testing Lab for schools, colleges, universities, research labs, laboratories and various industries. We accept bulk orders for government tenders in all countries around the globe.